Summer has finally arrived in Argyll and it is bloody glorious! Isn’t it amazing what a bit of Vitamin D can do for you? We had a long old winter which has taken it’s toll on the gardens, and my mental health for that matter! The back lawn has been a muddy bog for months on end which has caused me no end of stress. Our daft boxer, Duke, can open doors so he lets himself in and out as he pleases, which means he is forever traipsing mud through the house, not to mention all over the walls and doors as he jumps up at the handles, or on the windowsills as he gawps out the window. Honestly, it’s a nightmare! Thankfully, the recent weather has meant that the grass has dried out but we have still been pricing up different options for artificial turf so that we don’t have another winter of living in Glastonbury. Not sure my sanity could take it! We tend not to use the front garden as its only small and not easily accessed from the house (we have to keep the front door locked due to the aforementioned hound’s door opening abilities!) so it has been left to grow a bit wild. It is full of established shrubs and bushes with gorgeous flowers that attract loads of butterflies and bees at this time of year. We also have a few upturned logs which we use to feed the birds on so we decided to continue the wildlife theme and install a bug house. This is one of those projects that can easily get out of hand thanks to Pinterest! Thankfully, I managed to avoid any elaborate ideas and decided to just use some things we already had in the shed. A couple of years ago we made some raised beds from sections of a crate Andy got from work. The lengths of wood are joined by a metal hinge at each end meaning they can be folded flat for storage then stacked on top of each other to make a crate. Clever, huh! We had a spare section so used that for our bug house but you could easily fashion something together from an old pallet or offcuts of wood. Whilst rummaging in the garage I also found these really sweet garden ornaments* that we were sent from Gardens 2 You last year and I had completely forgotten about! How bad is that?! 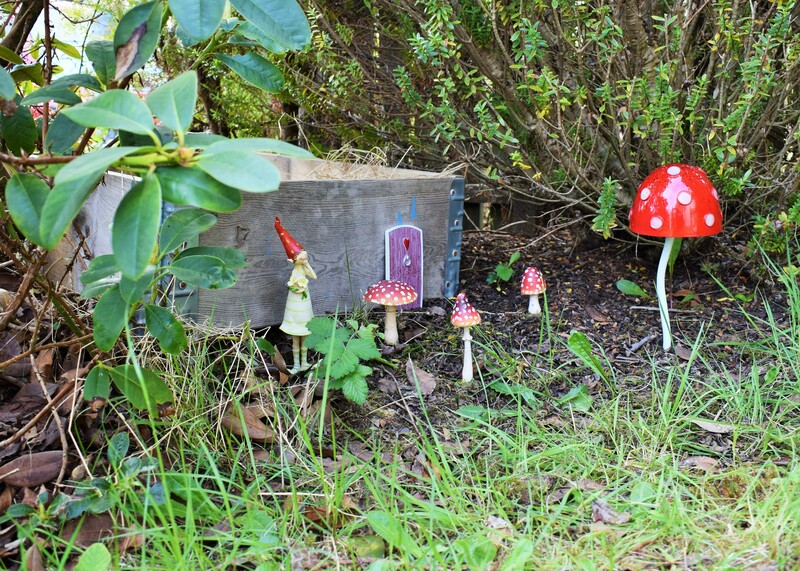 They were perfect for decorating the bug house and Madeleine was very chuffed to have a pixie door in the garden to go with the fairy door she has in her bedroom! 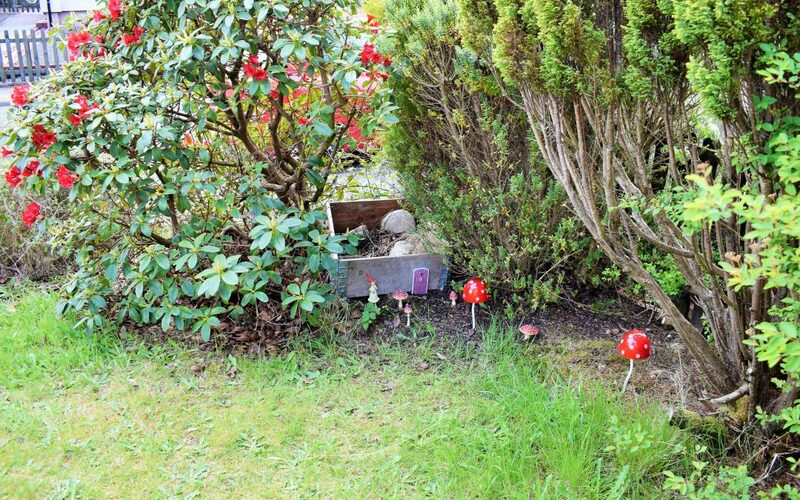 I may have to get a few more toadstools and pixies to dot around. Aren’t they cute?! Once the basic structure was in place we filled it with a few big rocks and chunks of bark from the garden for the beasties to hide under, as well as some long dried grass, twigs and dried leaves. 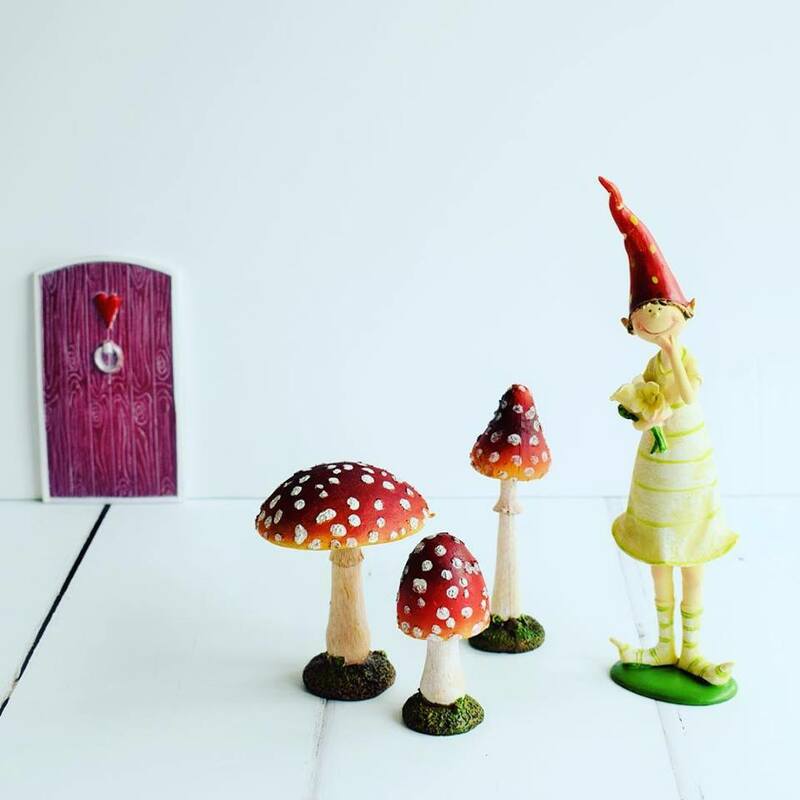 Madeleine then arranged the pixie decorations and the larger toadstools that were already in the garden (similar here), and it was time to release the beasts! She always has a few bugs in her beastie jar so it’s nice to finally have somewhere for them to go when she’s finished her examinations! 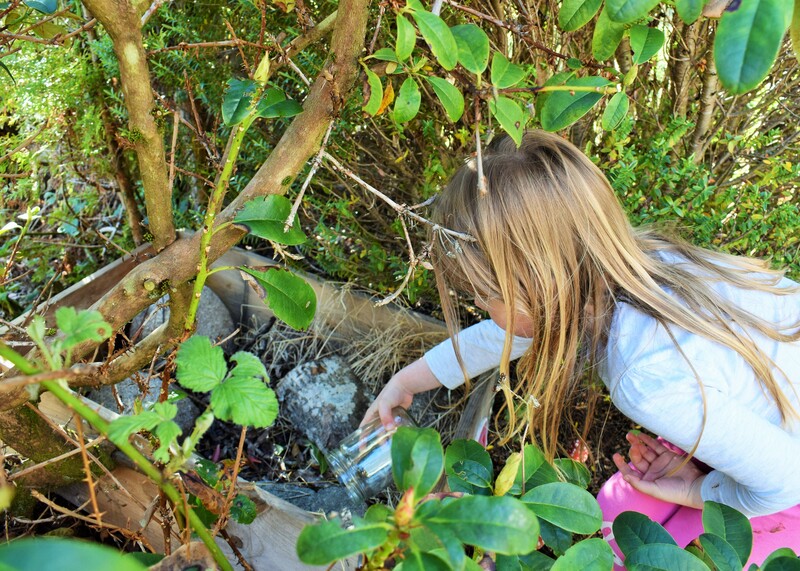 I can highly recommend the Nick Baker Bug Safari kit for any budding entomologists, Madeleine loves hers. So there you are; a few bits of wood, some rocks and tree bark, and Bob’s your Uncle! An easy-peasy ten minute DIY bug house. Let me know if you give it a go; I’d love to see pictures!